In no other case is the saying “time is money” more relevant than in the event of a fire. A reliable fire alarm can prevent disaster, while a sub-standard alarm system can aggravate the situation. 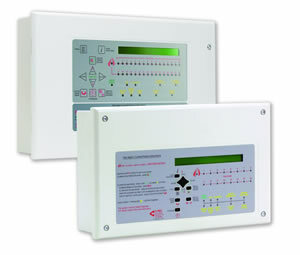 A fire alarm system is the first link from alarm to action. The primary task is to discover a fire and issue an alarm as early as possible. Early discover can prevent both personal injury and property damage. Maximum Security offer the security market’s widest range of fire alarm and evacuation systems, all with a high degree of sensitivity and reliability, adapted to your premises and operations. The systems range from interactive analogue addressable systems for premises with extreme safety requirements to small and medium-sized conventional and addressable systems that offer good value for money. All fire alarm systems marketed by Maximum Security are characterized by user-friendliness and easy maintenance. 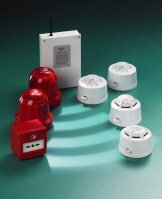 Maximum Security offer the security market’s widest range of fire alarm and evacuation systems, all with a high degree of sensitivity and reliability, adapted to your premises and operations. The systems range from interactive analogue addressable systems for premises with extreme safety requirements to small and medium-sized conventional and addressable systems that offer good value for money. Copyright © 2019 Maximum Security. All Rights Reserved.